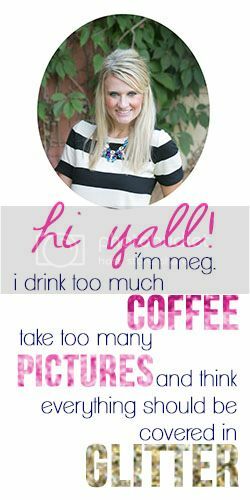 Everyday Meg : Oh hey Merry Mommas!!! in college and subsequent roll model. For the last 6 years I have always admired the way she has raised and photographed her family. 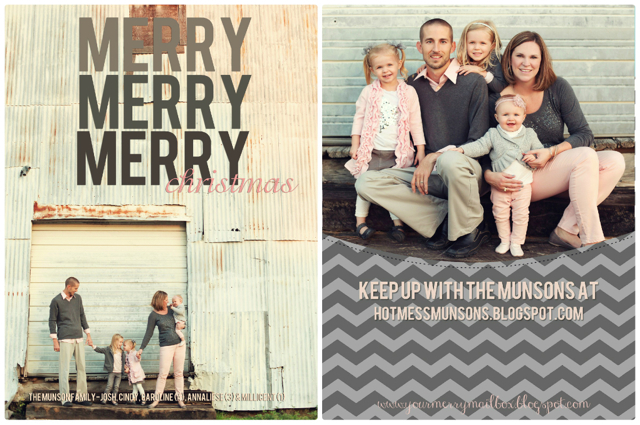 I follow her blog The Queen of the Kings and then blog stalk her bestie Cindy who blogs over at Hot Mess Munsons and always ooh and aw over the creative memories they creates for gtheir kiddos! 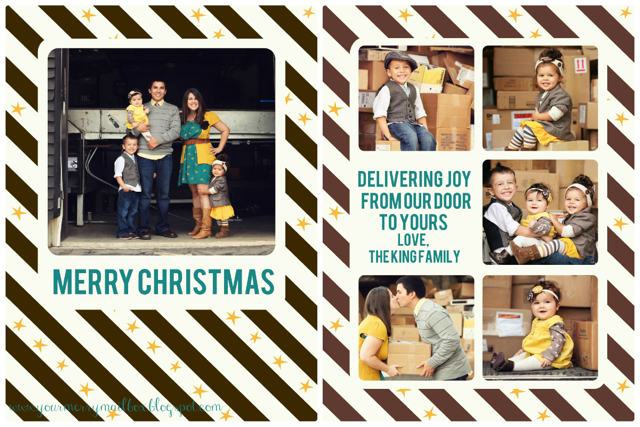 The ultimate culmination of creative juice and pictures is the Christmas card. Katy and Cindy went in search of a place to find and share their creative ideas for their families Christmas cards (because lets be honest Christmas cards are the adult version of show and tell and no one wants to show up empty handed). They couldn't find one, so these industrious mommas created one their self. Your Merry Mailbox is a place that will "bring you inspiration, ideas, charming examples, and lots more that will make your mailbox merry all year long." -- um hey good idea! Aren't these the most creative mommas out there!!! And look at those PRECIOUS kiddos! 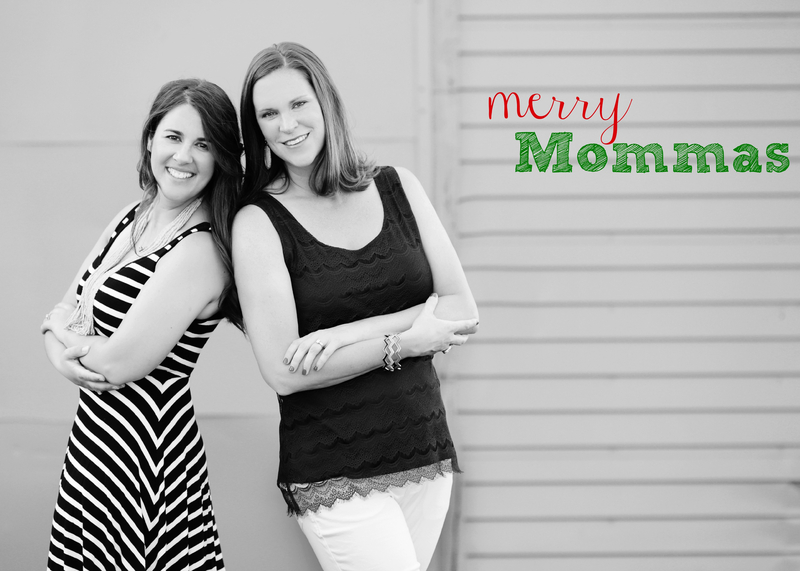 These precious momma's are offering one of my EM readers a GREAT opportunity to have a Card (not just Christmas) consultation and all you have to do is leave a comment on one of the Your Merry Mailboxes posts letting them know you came over from Everyday Meg! Thanks, Meg!! You are so sweet to share the merry!! Have fun this weekend!